….this is what I'm thinkin'…. 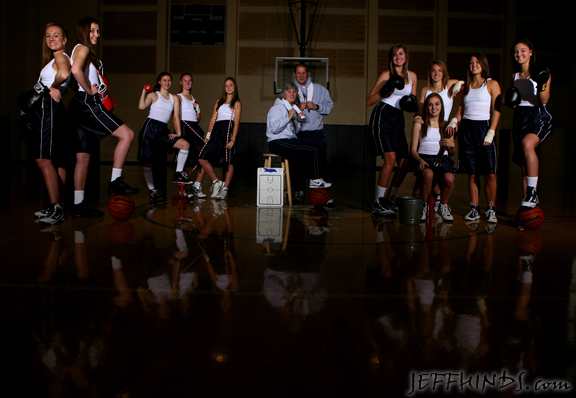 Back in November I did the team & individuals for the Wilsonville girls Varsity team. 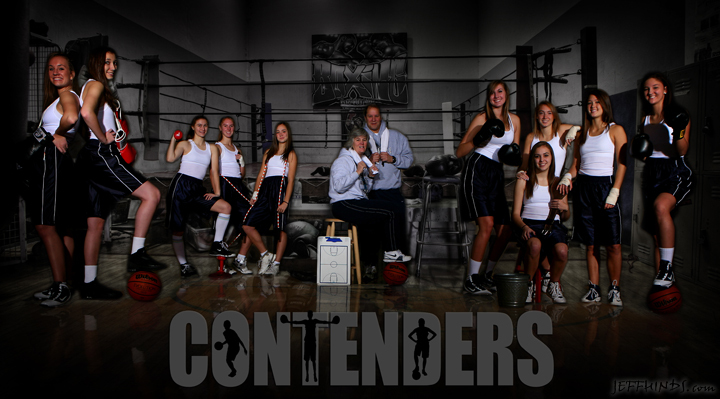 Just like the girls at Lakeridge, they too had a team theme….”Contenders”. Their idea was to have boxing incorporated into the team poster! For the final poster image, I had a perfect idea, knew exactly what the team needed and how I wanted the final image to look. 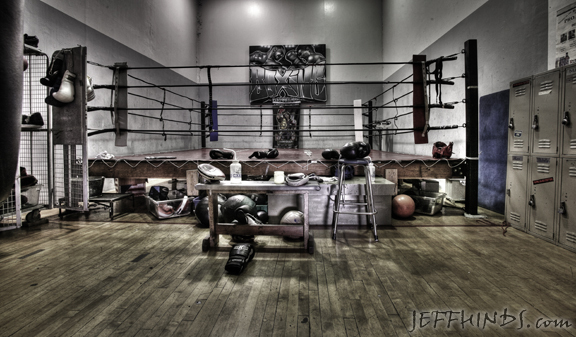 I wanted to use two images photoshopped together: a background image of a boxing gym with an image of the girls superimposed over it. For the background image I wanted to use a technique called “HDR” or “high dynamic range”. Basically, it’s a photoshop merging of 3 different image exposures. Luckily, my father-in-law is a boxing trainer for the #1 ranked female boxer in the nation, Molly McConnell, so first thing was to call Molly and set a date to shoot the images at the gym where Molly trains, Grand Ave. gym in NE Portland. The main image of the girls was taken on the day I shot the team & individuals at the school.